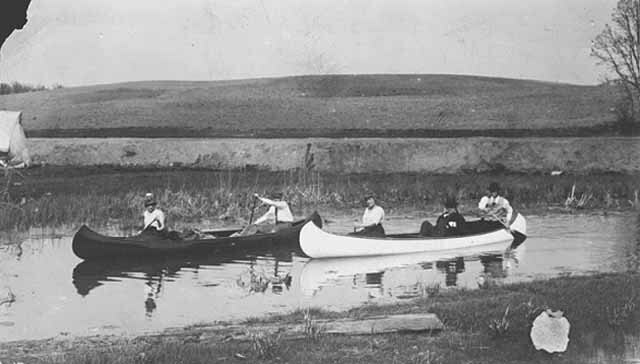 Phalen Creek was a spring fed-stream flowing from Lake Phalen through a deep ravine that ancient waters had gouged from the land. It ended up forming a small delta on the Mississippi River floodplain. Surrounded by trees and wetlands, it served as a corridor for songbirds and other wildlife. The local Dakota, who lived nearby, surely fished there and hunted along its banks. 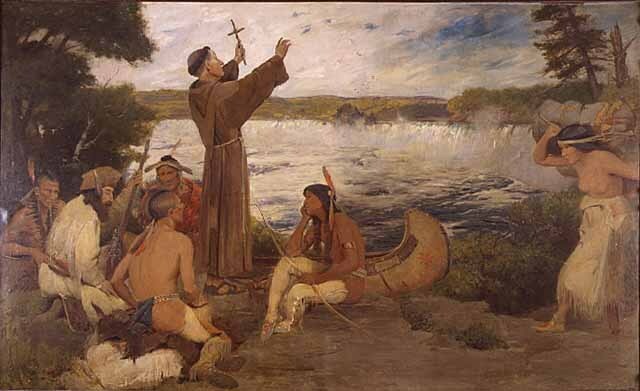 When Father Louis Hennepin, a Franciscan priest and explorer was paddling up the Mississippi in 1680, his group met a Dakota war party who detained him and beached his canoe at the creek’s confluence with the Mississippi River. He is usually considered the first European person to visit Phalen Creek. Shortly after Minnesota became a territory, Edward Phalen took up a claim on the creek that would later be named for him. In 1844 he sold it to William Dugas, who built Saint Paul's first saw and grist mill there. The meandering waterway would have a long-lasting impact on the East Side neighborhood and its water power led to the economic investment that brought settlers into the area. The ample water supply and sandstone cliffs in which storage spaces could be dug were attractive and the site once housed at least four different breweries. The most significant of these was the one built at the northeast corner of Greenbrier and Minnehaha. Andrew Keller, a native of Germany, established the Pittsburgh Brewery there in 1860. Five years later he sold his small plant to Theodore Hamm, and he and his family transformed it into one of the largest breweries in the country. After the Civil War, railroads were built in the area and one of them ran along the route of Phalen Creek and attracted industries that brought people to the East Side. 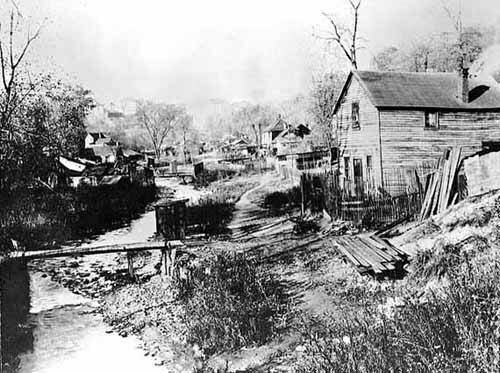 The banks of the creek were also homes of Swede Hollow and Connemara Patch, two immigrant settlements. While these residents got their drinking water from artesian wells, they used creek for washing, watering their small gardens and some residents put their outhouses on stilts across the stream. There were some dangers. Occasional heavy rains turned the creak into a raging torrent. In the spring of 1897, six year old Margaret Connelly slipped on a rock walkway across the creek near East Fifth Street and was swept into a sewer and drowned. Her parents investigated suing Saint Paul for lack of safety near the sewers, but the courts found that no liability attached to the city. Over time, the creek was deployed into large storm and creek sewers and by the middle 1930’s all of the waterway was contained in a huge storm water system. While the Swede Hollow and Connemara Patch communities no longer exist, there is still a creek. But you can no longer see it, because it now runs underground from Phalen Lake to the Mississippi River. Steve Trimble, “Phalen Creek,” Saint Paul Historical, accessed April 21, 2019, https://saintpaulhistorical.com/items/show/291.